Episode 8: Didn’t You Forget to Propose? They say that diamonds are a girl’s best friend. I disagree. I am a girl’s best friend. Why? Because I love rocks: Sapphire, tanzanite, black opal, benitoite, and especially diamonds. I love to buy and give rocks. That makes me a girl’s best friend. Almost two months after our first date, Judy and I went to the Northern California Gem Show. Wandering around the floor was great. We had gone to the show under the auspices of searching for materials for a project at work. Very soon though, it turned into an excursion to find an engagement ring. It just happened. Hey, check out this diamond, then that ring. Our search slowly morphed from an interesting pastime to a bona fide endeavor. She had to see them all! We spent the entire day trekking from vendor to vendor. By the end of the day, Judy still hadn’t selected anything, even though we had been to the equivalent of 50 jewelry stores. As we were having dinner at a restaurant on the way home , she looked at me and said, “Shouldn’t you propose before we go looking for rings?” She had a point. I mean, it wasn’t a secret. 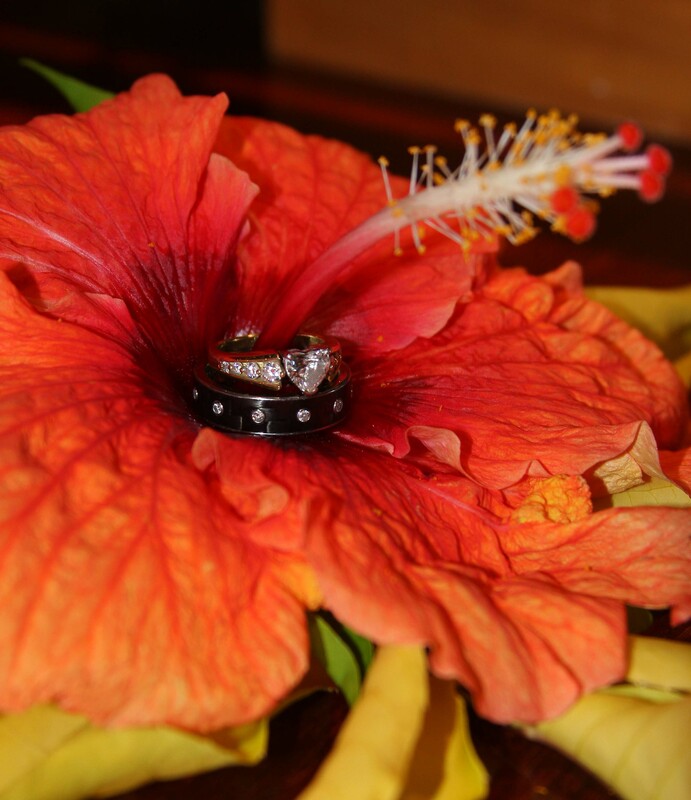 We had been discussing being engaged for a month now. But it did feel a little like the ref had thrown the penalty flag for illegal procedure. 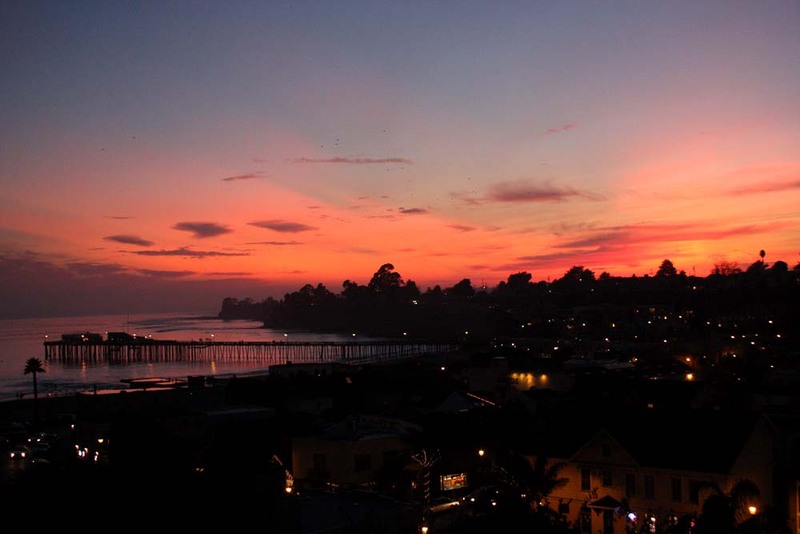 When we got back home that evening, we walked above Capitola. On the cliffs overlooking the sea, I asked Judy to marry me. She said yes and squealed….and then squealed some more. Judy, at 48, was engaged for the first time! It was more like squeals of holy c$!p mixed with utter disbelief, more than just excitement. The next day we returned to the show and bought the first ring we’d looked at the previous day: a beautiful D-color heart-shaped center surrounded by round brilliant-cut diamonds. The selection was a surprise in two ways: First, strangely enough, even after looking at a hundred rings, the first one was the right one. This became a theme that has consistently appeared in our relationship; and second, as a highly powerful woman, hearts had never been Judy’s thing; she’d never worn one before. But love was drawing something out of Judy that had long been repressed. Am loving your beautiful story….can’t wait for the next episode!! Thanks Mom! You’re always my biggest fan 🙂 Love you!